Comments: Comments Off on What to do about Johnny? What to do about Johnny? NOTE: On NNR Samantha Bunten of NBC Sports and I discussed the news of the day, injuries from the previous week, previewed all week 9 games and discussed the Browns/Bengals game. Now that Johnny Manziel has played 2 games this season the question is what should we do about Johnny? Should the Browns go back and play veteran Josh McCown or let Manziel play the rest of the season? 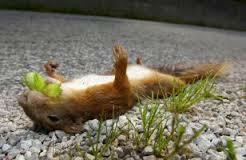 To decide it is necessary to take a look at what has been learned about Manziel’s progress learning the NFL game. What we saw in the Bengal game last night was a player that was more accurate throwing on the run. That was a good thing because he was harassed all evening because of a pathetic O line performance. He was also more able to keep his eyes down field under pressure. That allowed throws down field against the rush. That is a key ability. He has adequate arm strength to be an NFL starter. And he is getting better at moving safeties away from his intended targets. While he does this on the move, he struggles to do it in the pocket. All that is good. However, there are a number of things that make me believe he will never be an adequate NFL starter. The most significant issue is Manziel’s lack of ability to throw out of the pocket. 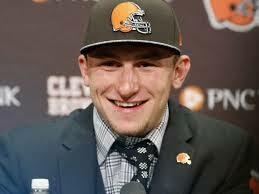 I can not believe that Coach Mike Pettine said at half time that he wanted to keep Manziel in the pocket. That is exactly what the Bengals wanted to do. They knew that to keep him in the pocket would limit his ability to extend plays. The next biggest issue is that he does not read defensive coverages nearly well enough to be effective. While time in the film room will help fix that, it is not something that is easy to repair. The ability to learn to read coverage is not only a function of time in the film room and live snaps but also a function of his basic football intelligence and willingness to spend the time to learn his craft. So far he has said all the right things but his actions indicate he is not ready to dedicate himself to his craft. The big plays that Manziel has made have almost always come from this ability to extend plays. The problem is that no NFL team can build an offense based on extending the play. He also lacks vision from the pocket. While some blame his lack of height that has not prevented other QB prospects from doing well. Both Drew Brees and Russell Wilson are short but see the field much better than Manziel. He also has issues with putting touch on the ball when needed. Another factor involves his speed. Is he fast enough to get out of the pocket and escape pressure? Again I doubt he does. Another issue is his ability to physically survive an entire season. He is not nearly as thick as Wilson and is more likely to be injured. In my opinion with 55 years of watching college and pro football and studying the draft, Manziel is not ever going to become a quality NFL starter. It is time in my opinion to start Austin Davis to whom the team has given an extension. Regardless if he is successful or not the team should draft a QB of the future and let him develop behind Davis for a while. Despite what GM Ray Farmer believes, the NFL is now a passing league that requires a quality QB and tall fast WRS. Comments: Comments Off on What I would do to fix the Browns. What I would do to fix the Browns. NOTE: On NNR Samantha Bunten of NBC Sports and I discussed the news of the day, injuries from week 7, our views of all week 7 games including the Browns/Rams. It is clear to anyone with a half a brain (not sure that includes GM Ray Farmer) that the Browns are headed for another bad season. Can the season be turned around? I doubt it but here is my prescription to try to fix the situation. 1. Fire GM Ray Farmer TODAY! – He clearly has no idea what it takes to put a competitive NFL roster together. Ray, the NFL is a passing game. A passing game requires a franchise QB and WRS that are taller than 4’2” and heaver than 100 pounds. He is now putting together the 2016 draft information and I don’t want him within 100,000,000 miles of the next draft. 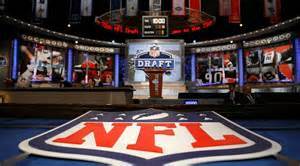 Get an experienced GM as a consultant to help guide the Browns 16 draft preparation and find a GM. 2. Fire DC Jim O’Neil – It was clear from the beginning that he is not qualified to be DC. 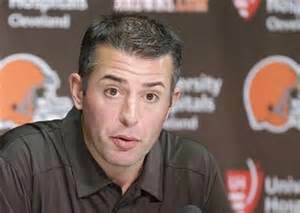 He has had 2 years to figure out why the Browns can’t stop the edge run but seems clueless. This move will not only put a fire under the more than ample butts of the D but also will send a message to HC Mike Pettine that friends don’t let friends blow up a season. 3. Fire ST coach Chris Tabor – If I had been the owner of the Browns when Tabor’s crew had the huge screw ups in Oakland, I would have fired him on the spot and left him there. The ST have been a complete disaster. Penalties have called back some good returns and the Browns have had some the worst starting positions in the league for years. This team is offensively challenged and can not overcome bad field position on every possession. 4. Hire an experienced O line coach – When I coached an off side or false start was worth 1 lap around the field. Those that continued to have a problem with penalties would lose playing time. The O line was supposed to be a strength of the team. It has been anything but a strength. The only way the running game will bet going is to get a new voice to inspire them. 5. Cut Dwayne Bowe – The cost to the salary cap be damned. In the last season and a half I have caught just as many NFL touchdown passes as he has and I didn’t get paid 9 million. Cutting him will send a clear message to the other veterans that they need to produce or will be gone. Leaving him on the team sends a message that losing is OK. If that turns the fortunes of the team around and they win 5 or 6 more games maybe Pettine can stay. If not at least there will be a sense of urgency on the team. In addition Farmer won’t be around to screw up yet another high draft pick. Comments: Comments Off on What is RIGHT with the Browns? What is RIGHT with the Browns? NOTE: On NNR Samantha Bunten of NBC Sports and I discussed the news of the day, injuries from week 5, our views of all week 5 games including the Browns/Ravens. On Thursday Ken Becks of 1stdownscouting.com/1st down will join me to talk about what scouts look for in judging college players for the NFL Draft. Every Browns fans know that the defense can’t stop the run or the pass. They have seen even very average running backs look like the 2nd coming of Jim Brown against the D. But enough of that. I’m just ecstatic to see John DeFilippo use the weapons he has to their fullest. We have watched too many coaches like Pat Shurmur fail miserably to maximize what they were given over the years. In Flip, Browns fans are seeing a guy who doesn’t seem to waste any time bemoaning the lack of a true number one receiver. He also doesn’t bemoan the inability of the team to run the ball. Instead he calls 51 smart passes from Josh McCown. I agree with him. On Dec. 3 of last year I wrote an article entitled “The Browns chose wisely for their OC” in which I said He had been the QB coach of the Raiders. But what I like best about him is he brings a history of fixing broken QB mechanics. If the Browns are ever going to get anything out of their 1st round pick of Johnny Manziel, DeFilippo is going to have to do major surgery on Johnny’s mechanics and attitude. As QB coach for the Jets in 2009, he faced a difficult problem. The team drafted rookie Mark Sanchez who had started just 1 year for USC. It was DeFilippo’s job to turn Sanchez into an NFL starter. He was able to help Sanchez lead the Jets to the playoffs with a 9-7 record. As QB coach for San Jose State, he molded Jordan La Secla into a serviceable QB that threw for 2860 yards and a QB rating of 125.8 in 2010. The next season he helped Matt Faulkner throw for 3149 yards and a QBR of 131.6. John DeFilippo has justified my confidence in him. He quickly realized that the Browns were not going to win being a run first O. While the team is 2-3, the O has given fans something about which to be hopeful. Flip is helping QB Josh McCown use the few weapons they have available. McCown gets rid of the ball quickly. Based upon how the O line is protecting him, that is a really good idea. He is reading the field very well. On the TD throw to RB Isaiah Crowell he quickly checked out 3 other options before wisely making the decision to throw to Cro. Those of you that read this site regularly know that GM Ray Farmer has not given Flip many weapons with which to work. So what Flip and McCown have done is that much more surprising. Browns fans can only hope that the D gets better and the O continues to surprise both the fans and the opposition.